It may not be a good idea to rely completely on free web versions of the United States Code because they are not necessarily accurate or completely up-to-date and they do not provide annotations. Annotations are summaries of cases and articles that discuss that specific statute. Cases are extremely important in understanding statutes because the statutes themselves are often vague or ambiguous. 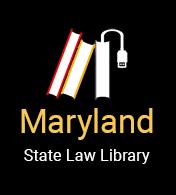 You might begin your federal statute research in a reliable free electronic version of the U.S. Code, such as that available from the Government Printing Office or Cornell Law School web site. Before you consider your research complete, however, you should go to a library that has an updated, annotated edition of the United States Code. Once you get to the library, you will find that it subscribes to one or more of the three print editions of the United States Code. Those three versions are the official United States Code (published by the Government Printing Office), the United States Code Service (published by LexisNexis), and the United States Code Annotated (published by Thomson Reuters Westlaw). If you have a choice, it is probably best to use either the United States Code Service (“USCS”) or the United States Code Annotated (“USCA”), because both of these are updated much more often than the official United States Code. They also provide case annotations, which will help you find cases that interpret the statutes relating to your legal issue.